I would define SEO, or Search Engine Optimization, as the process of writing a web page so that a search engine can easily determine what it’s about. I would further define SEO as the process of building your entire website so that a search engine can reach every page without difficulty. Search engines use programs referred to as crawlers (also called spiders or bots) that find their way to your website by following links. Once there, the crawler reads the page and creates an index of the words on your page. After scanning a page, the crawler follows your links from page to page within your site, and out to other sites to which you have linked. If you want your site to be found by search engine users, then you must make it easy for the search engines to scan your pages, and follow the links to all the pages on your site. Watch this 7-minute video, in which Matt Cutts, a Google engineer, explains briefly how Google crawls, indexes, and serves web pages. It benefits you, by teaching you how to present in a logical format, that is easy to understand. The five paragraph essay benefits the reader by presenting ideas in a format that is easy for them to digest. Additionally, when ideas are presented in a standard format, the teacher can grade papers more quickly. I am not suggesting that you employ the five paragraph method for every page on your website. However, I am suggesting that you present your ideas in a way that is easy to understand for the human who is reading your page. If you get into the habit of writing for the reader, and staying on topic, you will find that there are SEO benefits to this approach as well. Google has more PhD’s on staff than NASA, and artificial intelligence (AI) is advancing at a rapid pace. Focus on the reader. If you want your site to be found, and to be ranked well by Google and the other search engines, the best way to find out how to build a Google friendly site would be to ask Google itself. There are many elements to building a website that is easy to find, and easy to navigate. In future posts, I will cover each of them in great detail. But for now, let’s stick to the 40,000-foot view. Writing well, so that the human reader is engaged takes hard work. While it can be tedious, structuring your content so that search engines can easily understand it, is a good bit simpler. Web pages use “tags” to instruct your web browser how to present information, from page titles, to descriptions, headings, and paragraph text. Using a content management system (CMS) like WordPress, can make the job much easier. 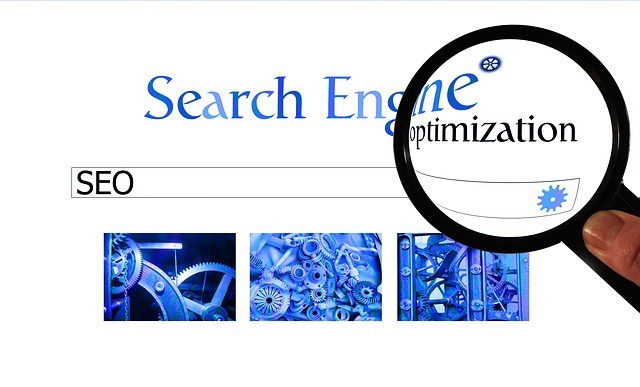 Once you get the system configured, it helps keep your SEO efforts on track. In order for search engines to do what they do, all the pages on your site must be easy to reach. Things like text navigation (instead of picture menus), XML site maps, robots.txt files, 301 redirects, pretty links, and a host of other complex technical details must be sorted out. Thankfully, if you put in the effort to get these things set up correctly in the beginning, you will be able to more easily keep everything in order without feeling like you’re juggling a hundred balls. Just as with on-page optimization, a Content Management System (CMS), properly configured, will be a big time-saver here. Put in the time, and do the work to write content that people want to read; add value to the lives of others, answer their questions, be helpful… Help others get their content in front of a wider audience, you will be amazed at your results. Don’t hire an SEO firm or consultant that tries to guarantee a ranking. Don’t buy links. If your content is not good enough to attract links, it is not good enough to keep visitors. Don’t buy social media “likes,” it won’t do you any good. Don’t over-optimize for specific keywords (known as “keyword stuffing”) in order to try and rank higher for those phrases. Remember, if it [the results promised] sounds too good to be true, it probably is. My goal, at eVisible Marketing, is to help you get the most out of your website. I want to help you build a site that is easy for a search engine to read and index. But more importantly, easy for a human reader to navigate, enjoy, and convert from visitor to customer.